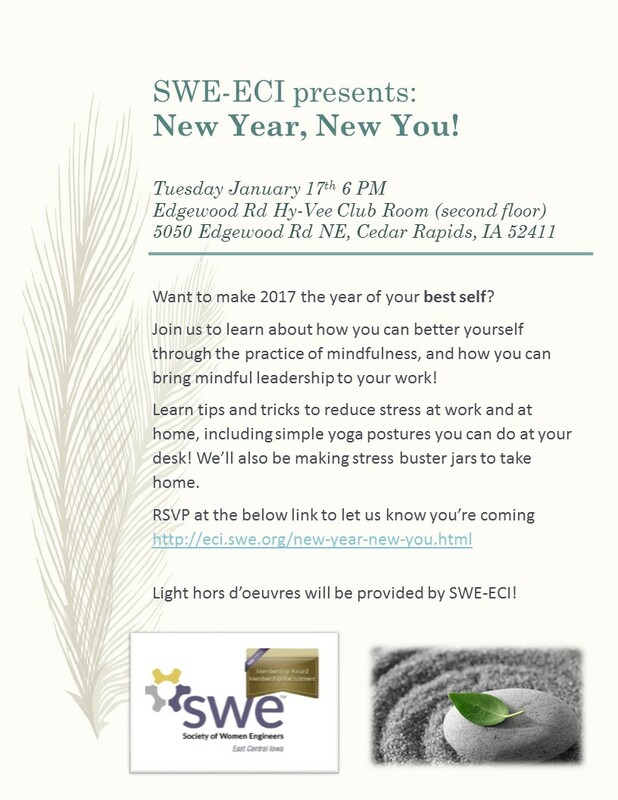 In order to make 2017 the best year for your career, you first need to take care of yourself! Make 2017 the year to be your best self! Elise Handke, core board member and certified yoga instructor, will talk about ways that we can practice mindfulness and mindful leadership, as well as share tips and tricks for reducing stress at work and home - including some yoga poses you can do at your desk! We will also be making stress buster glitter jars! 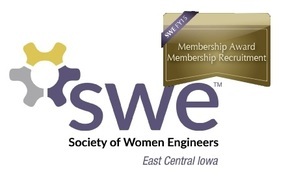 Light hors d'oeuvres will be provided by SWE-ECI.